We made it down to beautiful San Juan Bautista this weekend to check out the state park’s ‘living history’ day (first saturday of every month) and to explore the mission. It’s a real gem and makes a wonderful family trip with plenty to keep adults and kids busy. 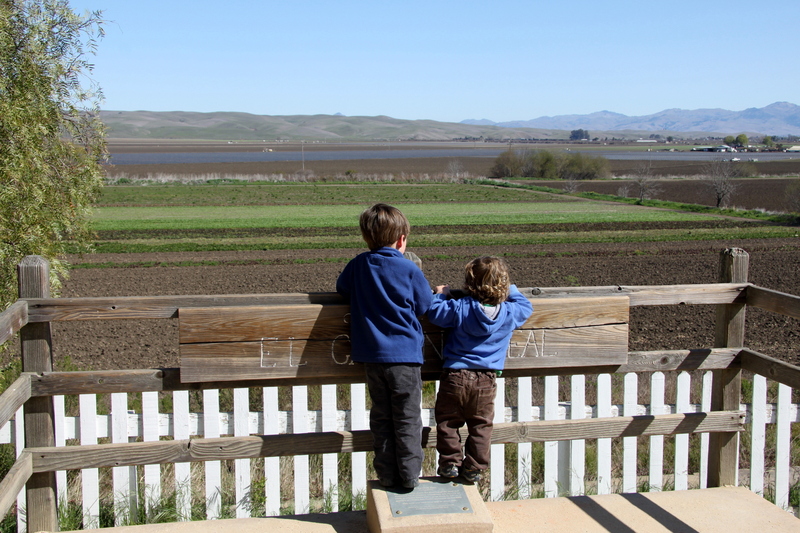 The mission and the state park buildings both border the central plaza-a large grassy area perfect for running off toddler energy and enjoying a picnic. The appearance of the plaza is pretty much as it was a hundred years ago, although it has a deceptively tranquil feel. 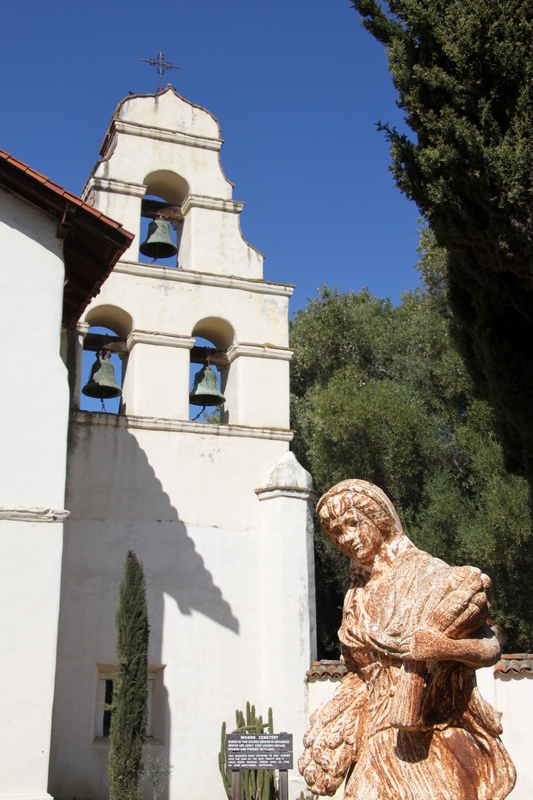 In the nineteenth century the plaza was an important stopping point on the original El Camino Real which ran north and south along the coast connecting the missions, and was bustling with activity, travellers and traders. Just six years after the mission was founded, well over 1,000 people lived there. More arrived during the gold rush and for many years it was one of the largest towns in California. The ‘living history’ day events try to capture some of this and to offer visitors a sense of the varied people who came through the town over the years. It’s a laudable effort although the mixed up period dresses all thrown in together is just the tiniest bit odd, and I think they could do more to show how important native americans were to the functioning of the town from its very earliest days. There were mountain men, trappers and traders, civil war veterans and the occasional lady in Victorian attire wandering around. The ‘actors’ are all super friendly and encouraged the kids to touch the furs and tents and antique rifles and were eager to share their stories. To the right of the plaza are the buildings of the state historic park. There is the old Plaza Hotel, a Castro-Breen Adobe which now contains museum displays, a small settler cabin, stables and the Zanetta house. 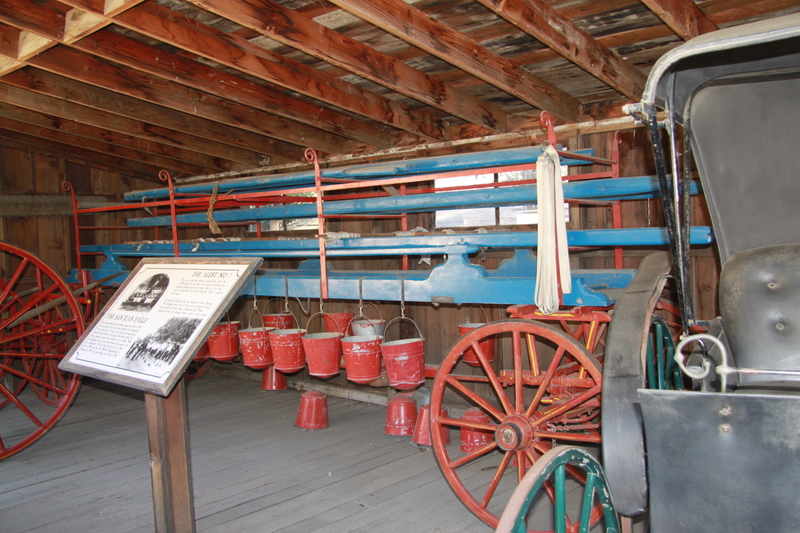 The boys really enjoyed checking out the stables which house numerous historic wagons and, which they thought was best of all, a late nineteenth-century fire wagon called the San Juan Eagle. They loved seeing how it used buckets to carry water rather than hoses. The Zanetta House is also worth a visit. 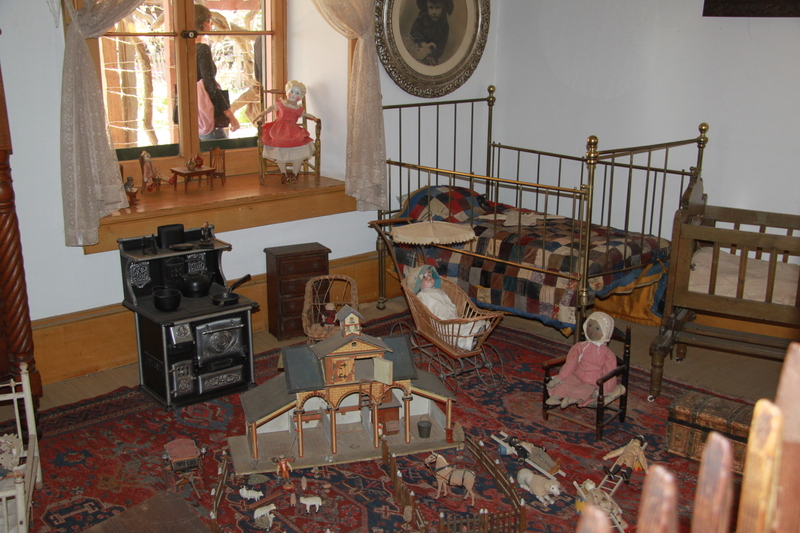 It was especially interesting for the little ones to see what a late nineteenth-century children’s playroom looked like and I enjoyed the heavy duty children’s play kitchen. Made all our plastic ones look rather insubstantial. On the other side of the Plaza is the old mission. It was founded in 1797 by the Franciscans. The church itself was built gradually between 1803 and 1817 and retains most of its original features. 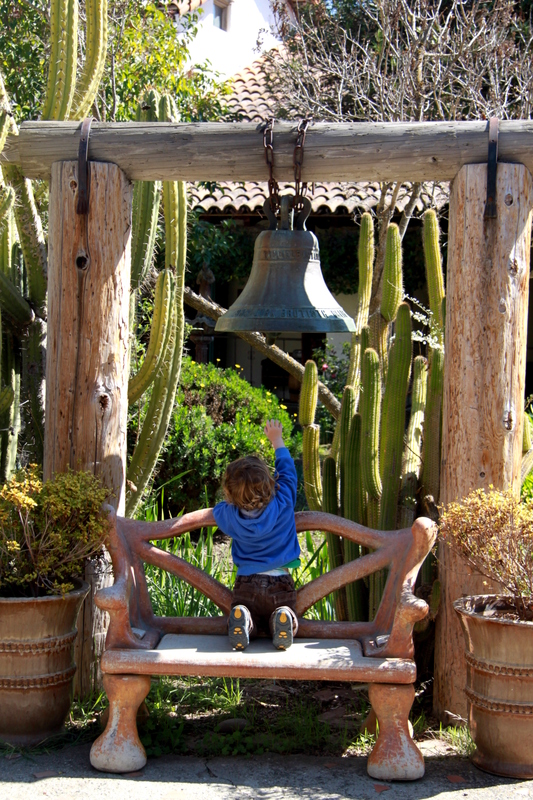 It’s worth a poke around the mission gardens (the kids loved the bells and cacti) and a look into the church. It always amazes me, coming from an English protestant background, just how colourful these old Spanish Catholic churches were. The wooden panelling housing the saints behind the altar was especially interesting–it’s exactly what many English churches contained before the reformation and it really gives the building a different feel. My other favourite thing about the church? It has a cat flap. We spent a happy few hours here and will definitely be returning. There’s a small charge for each part of the plaza: $3 for the state park and $4 for the mission. It was only as we prepared to leave that we finally realised why it all looked so familiar–it was the setting for the climax of Hitchcock’s Vertigo.